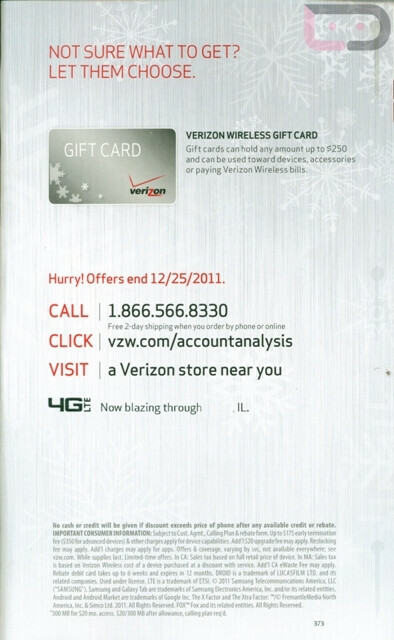 Some Verizon customers in Illinois have received a promotional mailer from the carrier. 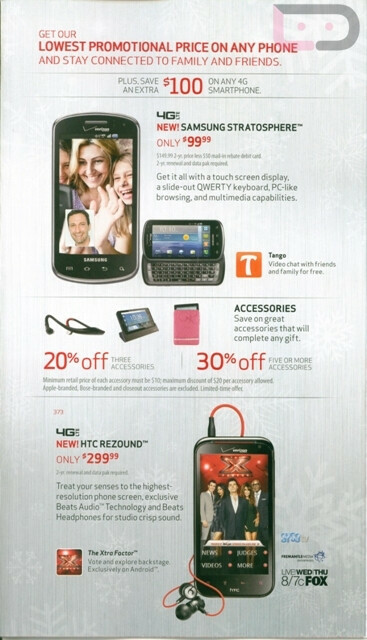 Inside the envelope is a coupon that allows the holder to take $100 off the price of any 4G smartphone. There is a caveat and it is a major one. The coupon is good until December 25th which means that time is ticking away. Still, if the latest rumor about the launch of the Samsung GALAXY Nexus is correct, coupon holders will be able to take $100 off the price of the first Android 4.0 powered handset. So far, these coupons have shown up only in Illinois, but that doesn't mean that Big Red isn't expanding the promotion. Now you have a reason to check the mail everyday despite the ton of bills and junk mail that you usually find in your box. 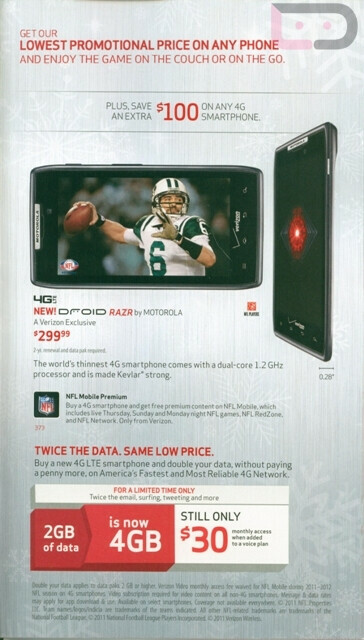 so far no Verizon store has honored this promo, so i'm guessing it to a very selected few. Like the flip phone owners. I got one in MI. Nexus here i come!!! $50 off is still good! I'll take it, getting ready to buy 2 Galaxy Nexus's as soon as they drop i'll take whatever i can get! I just called the 800# on the flyer and it is a direct sales offer. I have two phones not on contract with VZ and one with ATT. The rep pulled the offer and they are offering $100 off when the phone is shipped to you. I was just offered $100 instant bill credit if I port my ATT phone over to VZ at a store tonight. So i'm happy to see they're willing to work with me! Yea, whenever adding a new line of service. Ask for the world and they may give it to you. I remmember my store would bendover backwards for new lines of services and kick the existing customers to the curb. They won't work with me. I just called retention. They smacked me down. Tried to okie doke me with the $9.99 Smartphones discount. I canceled the line. My other line is up in May.